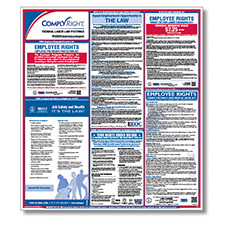 Our Federal Labor Law Poster is updated to include the latest postings, making it the perfect solution for complete federal labor law posting requirements. 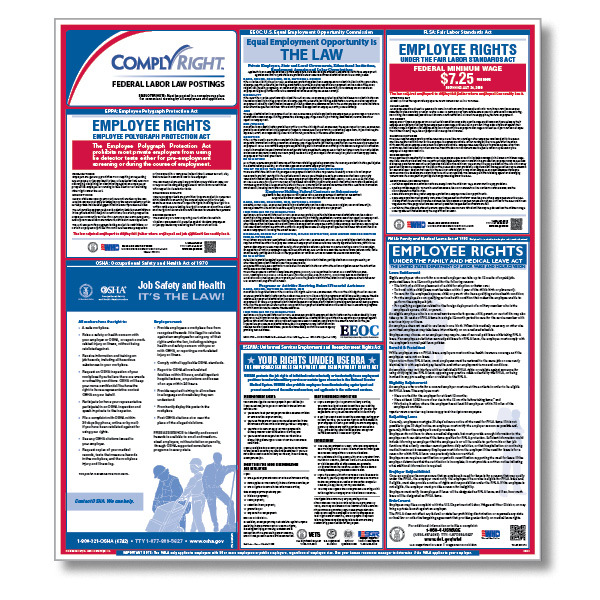 This single poster includes all six federal labor law poster requirements. Size: 24" x 26 3/4"